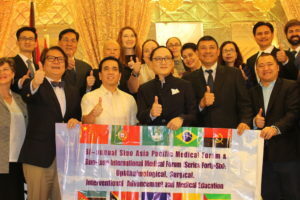 The 4th Sino Asia Pacific International Medical Forum launched in Davao, Philippines this week. 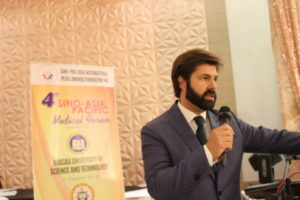 Titled “Medical Education, Innovations and Health Sciences” the forum featured regional hospital and medical visits, as well as scientific symposiums with local and international frontline healthcare providers. 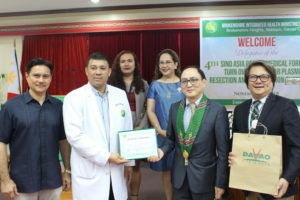 As part of the proceedings, Professor Manson Fok, President of the Sino Asia Pacific International Medical Forum, donated two ultrasound machines and one state-of-the-art bipolar resectoscope system for bladder cancer and benign prostate procedures for the city of Davao from the Dr. Henry Fok Foundation. 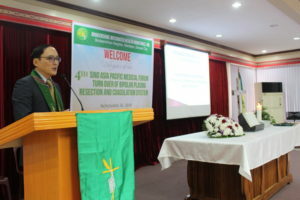 Davao City Health Officer Dr. Joy Villafuerte, doctors from the Philippine Obstetrics and Gynecology-Southern Mindanao Chapter (POGS), the Southern Philippines Medical Center-Department of Obstetrics and Gynecology (SPMC), and the Brokenshire Integrated Health Ministries Incorporated (BIHMI) Departments of Surgery and Dept of OB-Gyn were the primary recipients of the advanced medical equipment. 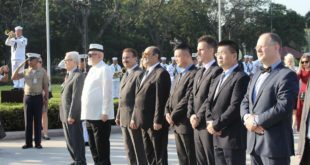 They also graciously hosted delegates with speeches, interviews with patients, doctors, and medical students. 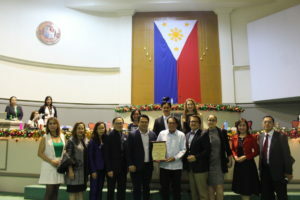 The delegation was also warmly received with a visit to the Davao City Council and the Vice Mayor Bernard Al-Ag, as well as ministers of agriculture, trade, and tourism. 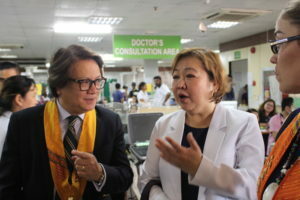 Dr. May Fok, the wife or Prof. Manson Fok, and Dr. Billy Chan, Vice President of the Sino Asia Pacific International Medical Forum and Sino Luso International Medical Forum, also officiated the donations. 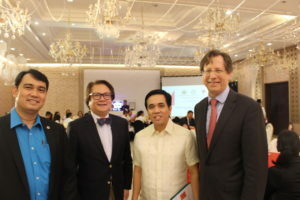 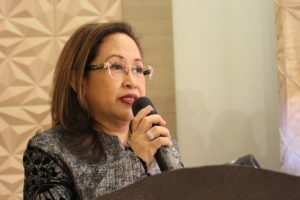 At the scientific symposiums, speakers include Dr. Benjamin M. Alaban, Secretary General of the Philippines Medical Association (PMA), Professor Chen Jiyan, Vice Chairman of the National Association of Cardiology Physicians from the People’s Republic of China, and Dr. Paulyn Jean Rosell-Ubial, former Secretary of the Philippine Department of Health. 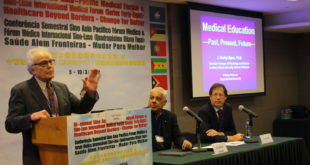 Professor Kathryn Hird, Vice Dean of Notre Dame University Australia, Dr. Ross Horley, medical simulation expert and adjunct lecturer at Notre Dame University Australia, Dr. Ute Fauck, Curtin University in Australia, and Dr. Ricardo Morais, Director of the Prof. Ernesto Morais Foundation also presented. 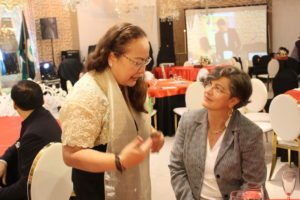 Other panelists include internist Dr. Sheila Maria Hernandez and Dr. Calimag, Professor at the University of Sto. 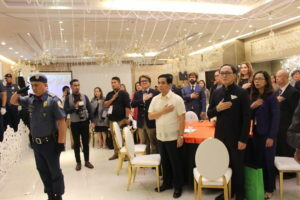 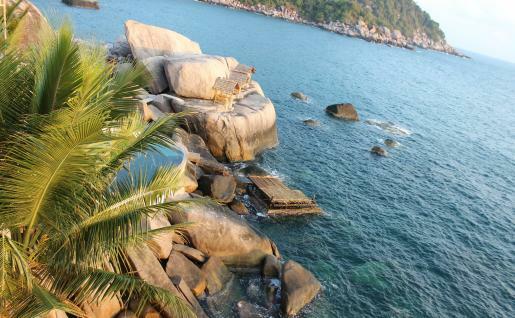 Tomas, Philippines. 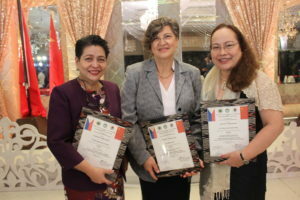 Dr. Maria Lourdes G. Monteverde, the Consul ah Mexico (Davao) and the Sino Asia Pacific Forum Convenor, Dr. Tomas Monteverde, and Dr. Jose Santiago, President of the Philippine Medical Association, oversaw the events and officiated several meetings. 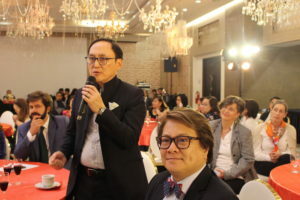 The Macao leg of the forums commences today and runs to December 2 at the Faculty of Health Sciences at Macau University of Science and Technology and the Dr. Stanley Ho Medical Foundation at the Landmark hotel. 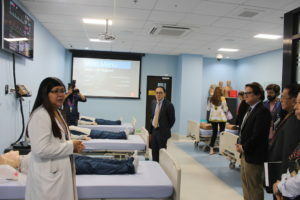 On December 1 there will be workshops such as Percutaneous Coronary Intervention procedures simulation training. 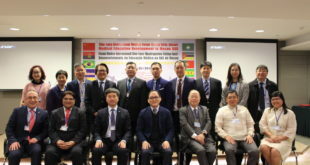 These forums will train Macao and regional frontline healthcare providers with advanced skills training workshops and further lectures on innovation in health sciences as part of the 46th Sino-Luso International Medical Forum. 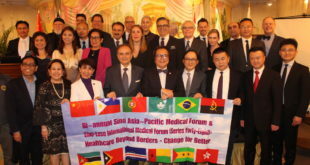 First launched in 2011, the Sino Luso International Medical Forum is the sister of the Sino Asia Pacific International Forum was launched in 2015 in Manila, Philippines–the latter of which has donated medical equipment in Cambodia and now to the people of Davao, Philippines.